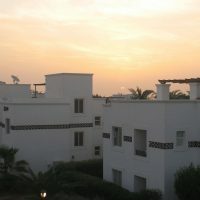 Modern furnished apartment with a European taste, located on the top floor with a private roof top. The apartment has a good size living area, with two sofa-bed seats, coffee table, 3D LED TV, and a home cinema system. The bedroom has a large bed, and a large wardrobe. The bathroom with a walk-in shower, rain shower supply, and a wide glass cabin. Modern kitchen with all necessary utensils. This Ad has been viewed 187 times.